Florence Square. ACC is located on the second floor. ACC is conveniently located on East Colfax Avenue, between Dayton St. and Elmira St and across from the Martin Luther King, Jr. Library. Our offices are on the second floor of the Florence Square apartment complex. 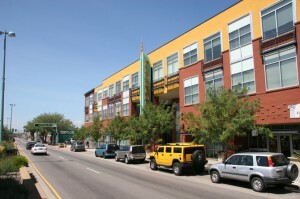 Parking is available behind the building, off of Elmira St. Our address is: 9801 E Colfax Ave #200, Aurora, CO 80010.